Hair follicles word is derived from the Latin word follies, for bag, grows from sac which opens into the sebaceous (oil) glands. 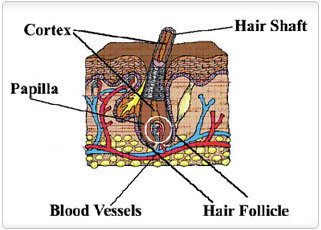 Hair follicles are generally lined by the epidermal cells outside the layer of skin. Hair follicle normally has a five-year cycle of growth and rest, in which about 90% of their follicles grow at a time, averaging about 15 cm of growth per year. Hair follicle test analysis conducted to infer the parent drugs as well as their drug constituents in the hair specimen which is collected from a donor’s body and can offer an extended, 90-day look back. 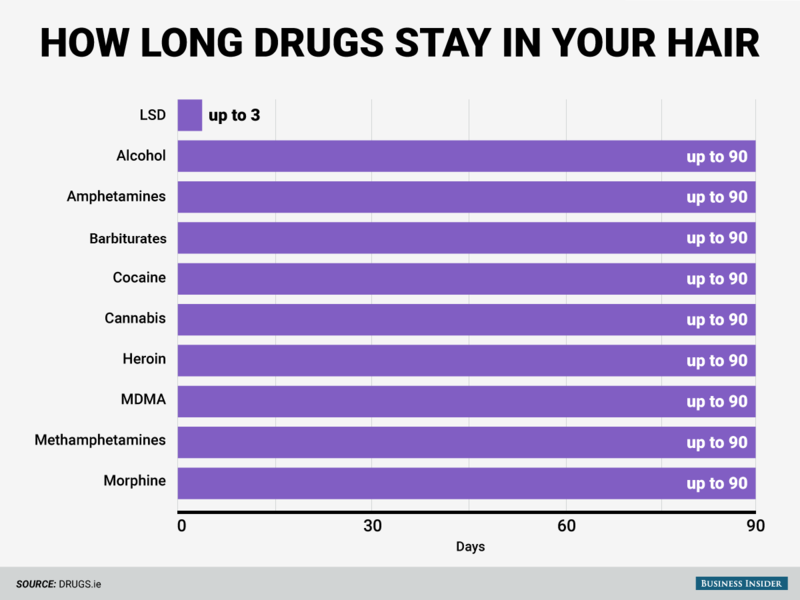 Mostly it takes 5 to 10 days after the last intake for the drugs to grow above the scalp and into your hair and stay there for up to 90 days. So, if the specimens are collected outside the window period might not get detected in the hair test. The first screening done by any laboratory is done by using enzyme-linked immunosorbent assay methodology on the hair specimen to detect the presence of any illicit parent drugs. The Laboratories re-confirm it by doing a second screening of the samples that test positive in the screening by subjecting them to various methods of Bio-Chemistry techniques such as Gas Chromatography, Mass Spectrometry or Liquid Chromatography/Tandem Mass spectrometry confirmation testing. Hair drug tests is divided into two categories, home hair drug tests that involve self-collection of the hair specimen and laboratory hair drug tests which involve laboratory collection, by the trained Lab professionals. Drugs usually stays in the hair for up to 90 days, and it takes between 5-10 days after the last intake for the contaminates to be detectable in hair and if test done before this window period they can go undetectable. Laboratories usually perform different screening methods to detect and confirm the presence of illicit drugs in the hair. Trusted and Reliable Home Hair Drug Testing Kits? There are trusted home hair testing kits available in the market, and specimen collected for them needs no trained lab professionals. Hair follicle testing analysis is the only testing method that provides a detection window of up to 90 days. This is an effective method to evaluate long-term patterns of repetitive use.